Stop what you’re doing right now and take a “stress break”. Check out this video of the 2016 Shaklee Dream Trip and feel the sand between your toes, the sun on your face, & the ocean breeze all around you. SHARING SHAKLEE HAS ITS REWARDS. NOT ONLY THE LIVES YOU TOUCH AND THE GREATER HEALTH AND FLEXIBILITY YOU CAN CREATE FOR YOUR FAMILY, BUT ALSO THE SINGULAR EXPERIENCES AVAILABLE TO ENJOY. EXPERIENCES THAT ONLY SHAKLEE CAN GIVE YOU. And when you make the commitment to share with others – to spread the Shaklee Effect in 2015 – we’ll reward you with six days and five nights at the enchanting Fiesta Americana Grand Los Cabos All Inclusive Resort in beautiful Los Cabos in magnificent Southern Baja. And when you go the extra mile this year – not only by building your business but helping others to grow theirs – Shaklee will whisk you away on the adventure of a lifetime — the Top Achievers International Getaway to Tuscany. You’ll spend six days and five nights exploring the verdant countryside, rich cuisine and immortal culture of this famed region at two of its most exclusive and picturesque destinations – Belmond Villa San Michele in Florence and Castel Monastero in the Tuscan countryside. With a day trip to Rome included, just take another moment to breathe in the vineyards all around you and check out this video of the 2016 Top Achievers International Trip. Now that you feel a bit better, let’s stop visualizing and let’s all start making plans to get there! We love how you put this together! 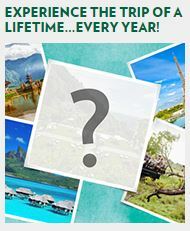 It just invites the reader to really take the break and get into the stream of the Shaklee rewards. Tuscany has us dreaming… and visualizing… and after the Monday webinar, starting to put together a plan of action. This is a trip we would love to make! “Like” us on Facebook! Go to Health n You – The VanderHeijden Group for current health news. Go to Reachable-Dreams for other fun stuff! We want to be right there with you VanderHeijdens! Cheers!